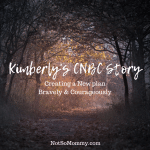 After sharing the orange ribbon for Infertility Awareness, a Not So Mommy… community member commented that we needed a Childless Not By Choice Awareness Ribbon. I completely agreed and said I would research the requirements for creating an awareness ribbon. To my delight, I learned that anyone can create an awareness ribbon. One must simply choose a color and start a campaign so that the public recognizes the cause your ribbon supports. As I thought about what color the Childless Not By Choice Awareness Ribbon should be, I quickly decided against yellow and orange for one simple reason. Yellow already represents Endometriosis Awareness and orange represents Infertility Awareness. I also did not want to use pink or blue, as I truly wanted the color to represent who we childless are, rather than focusing on what we do not have… Plus, Miscarriage and Infant Loss Awareness is represented by a pink and blue ribbon. Nicci Fletcher, of The Childless Not By Choice Magazine, and I have worked together on several projects. I highly value her opinion, so I asked Nicci’s advice about choosing a color for the Childless Not By Choice Awareness Ribbon. She suggested that I do some research about what various colors mean to see if anything spoke to me. So, that is exactly what I did. 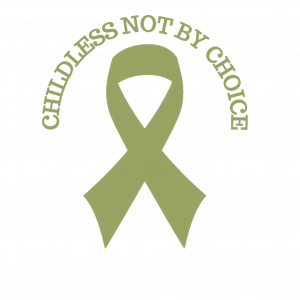 Through my research, I decided the Childless Not By Choice Awareness Ribbon should be olive green. Although this may sound odd, as green can be associated with negative qualities such as envy and jealousy, it is also representative of numerous positive qualities. It does not stress the eyes. It relaxes the nervous system, calms the spirit, and enhances one’s mood & behavior. Studies show it can decrease fatigue, depression, and anxiety. Because this childless journey is complex and often stressful, I thought it couldn’t hurt to have a calming color for our awareness ribbon. 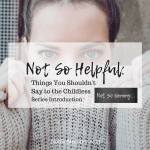 Before choosing olive green as the color for childless awareness, however, I wanted to make sure that it wasn’t being used by another organization. Although other causes, such as Mental Health Awareness, use green, I did not find anyone who utilizes olive green. So, I was almost ready to make the color official… After running my olive green color choice (specifically #98a564 on the color wheel) by my hubby and Nicci, I decided it truly is the perfect choice for our awareness ribbon. 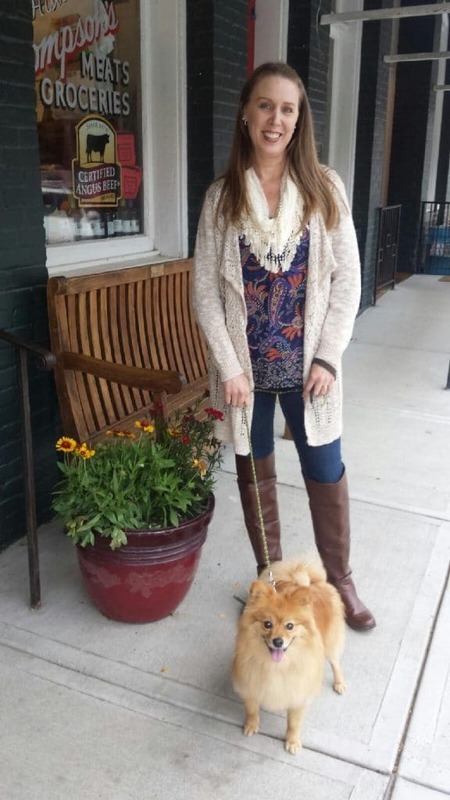 When she told me “Olive Green,” I was intrigued by her choice: people often associate green with envy and fertility, so I needed to learn more. What I discovered made complete sense, given the challenges our community faces. Green represents healing power together with stability, endurance, growth and hope. Green also puts the heart and emotions in balance giving us the ability to love and care for ourselves and others unconditionally, all of which are very relevant. Finally, green restores depleted energy and is a sanctuary way from the stresses of modern living, whilst Olive Green in particular is the universally acknowledged colour of peace. It is clear that Brandi’s choice of colour is truly inspired. Fabulous ones, please SAVE & SHARE the below image of our tribe’s new olive green awareness ribbon! Let’s raise awareness about our Childless Not By Choice Journey! Brandi, when I see the individual qualities associated with green and then more specifically olive green I am even more convinced that your choice of colour is inspired. They are a phenomenal list of positive and powerful words. Words filled with hope. Words filled with healing. Words that inspire! 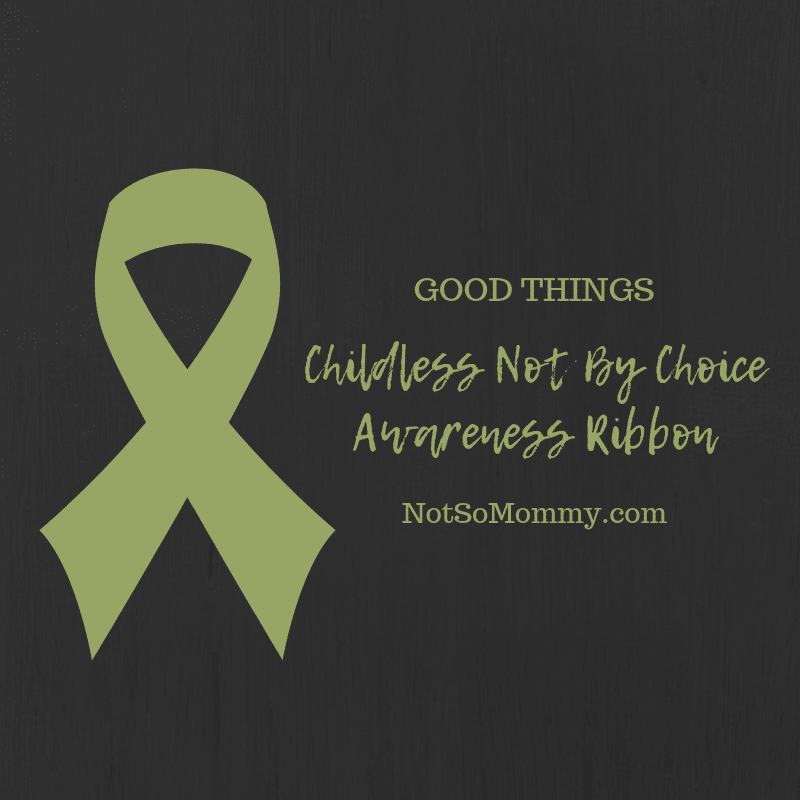 I truly hope this new olive green awareness ribbon for our CNBC tribe reminds us that we are more than childless! We are a phenomenal group of amazing people!